Adele Astaire (born Adele Marie Austerlitz; later Lady Charles Cavendish; September 10, 1896 – January 25, 1981) was an American dancer, stage actress and singer. She was Fred Astaire's elder sister, and his partner in a 27-year career in vaudeville and theater, beginning when he was five and she was eight. Adele was born Adele Marie Austerlitz in Omaha, Nebraska, the daughter of Johanna "Ann" (née Geilus), an American-born Lutheran of German descent, and Frederic "Fritz" Emanuel Austerlitz (September, 1868–1924), an Austrian Roman Catholic brewer of Jewish descent from Vienna. Adele became an Episcopalian, like her younger brother. A teacher's suggestion that the two children might have a stage career if trained for it prompted the family to move from Omaha to New York, though the father returned to Omaha to work. Adele, Fred and their mother lived in a boardinghouse, and the children began attending the Alviene Master School of the Theatre and Academy of Cultural Arts. They adopted the more American-sounding name 'Astaire' after trying several variations on the original family surname. 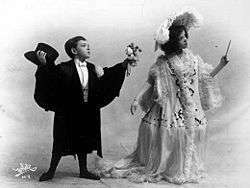 In 1905 Adele Astaire had a successful vaudeville act with her younger brother, Fred Astaire. After 1917 they developed it into a celebrated adult career on Broadway and, beginning in 1923, on the London stage. Adele was the bigger and more charismatic star of the two during their time performing together. Peter Pan creator J. M. Barrie asked Adele to play his creation; contractual reasons forced her to turn down the part. Back in New York the duo appeared in Jerome Kern's The Bunch and Judy (1922), and then the Gershwin brothers' first Broadway collaboration Lady, Be Good!, followed by their Funny Face. Both were hits in America and in London. After Fred Astaire's success in Hollywood, Adele gave serious consideration in 1935 to making a musical film there. She visited Hollywood and appeared in January 1936 on the Music Variety Show, but she admitted to feeling intimidated by her brother's reputation. During their partnership, Fred, whose perfectionism earned him the nickname "Moaning Minnie" from her, had always been the dominant creative force. In 1937 Adele began filming in England with Jack Buchanan and Maurice Chevalier but withdrew after two days. She later recalled: "Oh boy, if my brother Fred sees this—I'm gone". There is no known film record of Adele performing (aside from a clip lasting a few seconds), but she made eight audio recordings, all duets with either Fred, George Vollaire or Bernard Clifton. 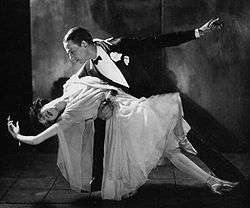 On May 9, 1932, after a successful stint with Fred in the revue The Band Wagon (1931) on Broadway, Adele Astaire retired from the stage to marry Lord Charles Cavendish, the second son of the 9th Duke of Devonshire, and moved to Ireland, where they lived at Lismore Castle. She had three children, a daughter in 1933 and twin sons in 1935, all of whom died soon after birth. By this marriage, she was properly styled Lady Charles Cavendish and would have been called Lady Charles in social circumstances. Her husband died in 1944, aged 38, of long-term alcoholism. Following his death, she turned down an offer from Irving Berlin to return to the stage in Annie Get Your Gun. On April 20, 1947, Adele Cavendish married her second husband, Col. Kingman Douglass, an American investment banker and Air Force officer who was an Assistant Director of the Central Intelligence Agency. He died in 1971. Afterwards, Adele lived in Phoenix, Arizona, and continued, until 1979, to summer at the castle in Ireland she had shared with her first husband. Unlike her brother, Adele was extremely gregarious and took great delight in shocking friends and strangers alike. Even when in later years beset by illness, she had enormous recuperative powers, and, according to her stepson Kingman Douglass Jr., "she soon would be up and in Marine-type English telling what she thought of the world." In 1972, Fred and Adele Astaire were inducted into the American Theater Hall of Fame. Adele Astaire died in Scottsdale Memorial Hospital, Scottsdale, Arizona, after suffering a stroke. She was 84. Her remains were interred in the Oakwood Memorial Park Cemetery in Chatsworth, California. Built in 1905, the Gottlieb Storz House in Omaha includes the "Adele and Fred Astaire Ballroom" on the top floor, which is the only memorial to their Omaha roots. At the suggestion of Roddy McDowall, Astaire donated her papers and memorabilia—amounting to several trunks of material—to the Howard Gotlieb Archival Research Center at Boston University. ↑ Riley, Kathleen (2012). The Astaires Fred & Adele. New York: Oxford University Press. p. 18. ISBN 0199921016. ↑ Gaiter, Dorothy J. (26 January 1981). "ADELE ASTAIRE, DANCER-COMEDIAN, DIES". The New York Times. Retrieved 9 May 2015. 1 2 3 4 5 6 7 Bentley, Toni (June 3, 2012). "Two-Step: 'The Astaires,' by Kathleen Riley". The New York Times Book Review. p. BR32. ↑ Rust, Brian (1973). The Complete Enternainment Discography. New Rochelle, New York: Arlington House. p. 11. ISBN 0-87000-150-7. ↑ Her brother-in-law Edward Cavendish died in unusual circumstances. ↑ "Fred & Adele Astaire inducted into Theater Hall of Fame." ↑ United Press International (January 26, 1981). "Sister of Fred Astaire dies in hospital at 83". Milwaukee Sentinel. ↑ Associated Press (January 26, 1981). "Private Funeral For Adele Astaire". Star-Banner. ↑ Satchell, Tim (1987). Astaire – The biography. London: Hutchinson. p. 226. ISBN 0-09-173736-2.